Cheshire West and Chester council is set to become the first local authority in England to offer residents a dedicated weekly kerbside nappy recycling service. The service has been made possible thanks to the UK’s first dedicated nappy recycling plant opening in September 2011 in West Bromwich. The plant is run by Canadian company Knowaste (see letsrecycle.com story). A free weekly ‘Nappy-cycle’ subscription service will initially run as a six-month pilot from summer 2012 in the Vale Royal area and it is hoped it will roll out across West Cheshire by the end of the year. An application has been submitted to the Government’s Weekly Collection Support Fund to fund the expansion. Subscribing households will be provided with a supply of collection sacks and an outdoor storage container. Some 56,000 households in the pilot area will be invited to subscribe to the service so collections are targeted at properties that need it the most. The service will also be available to residents who need to dispose of adult incontinence products. 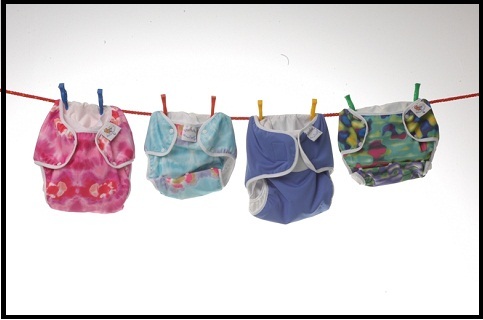 Councillor Lynn Riley, the council’s executive member for community and environment, said: “In our borough alone, almost 5,000 tonnes of nappies go to landfill every year. Once there they can take up to 500 years to decompose. The service will be delivered in partnership with May Gurney, the company appointed last year (see letsrecycle.com story) to deliver the borough’s new recycling and waste collection service from April 2012. The pilot is intended to complement the new Recycle First weekly collection of recycling and waste being rolled out across the borough over the coming months. Combined with the additional recyclable materials being introduced as part of Recycle First, it will enable households to recycle up to 80% of their waste. Collected nappies will be bulked up and transported to Knowaste’s facility. The plant uses state-of-the-art technology to sterilise and separate the materials. Plastic and fibre is then recovered which can be used for making products including, in the case of plastics, roof tiles, recycling bins and steel or wood substitute and in the case of the fibres, cardboard and industrial tubing. “We already work with the UK’s leading hygiene and washroom companies to recycle their commercial absorbent hygiene waste. Cheshire West and Chester council is not the only local authority to show an interest in collecting nappies for recycling. Late last week, the Welsh Government announced funding for an ‘innovative’ kerbside sort pilot in Merthyr Tydfil in Wales which includes nappy recycling (see letsrecycle.com story). And, yesterday a survey by M.E.L revealed that 10-15% of those councils planning to bid for funding from Eric Pickles’ £250m Weekly Collection Support Scheme were intent upon collecting nappies (see letsrecycle.com story) .